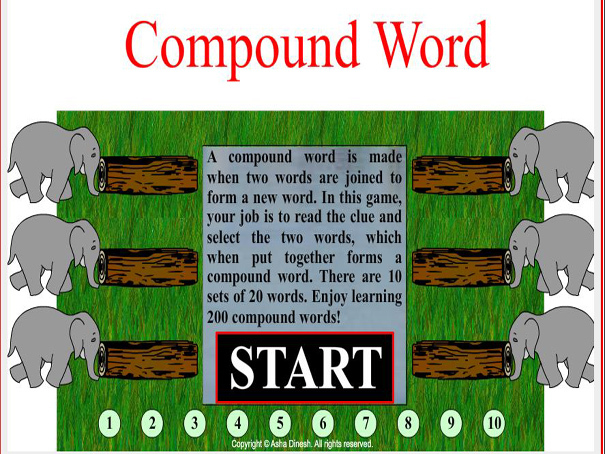 In this game you will practice making compound words - joining 2 separate words to make a new word. Read the clue at the top of the screen, then get your elephants to push the correct logs. Go through them all and you will learn 200 new compound words!